Calibrate LTQ Velos, LTQ Orbitrap and other mass spectrometers using a mixture of highly purified ionizable molecules designed for positive mode calibration. 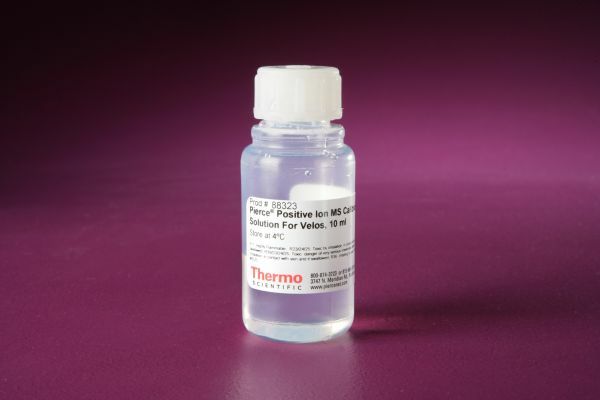 The Pierce LTQ Velos ESI Positive Ion Calibration Solution is a ready-to-use liquid formulation ideal for quickly performing the routine calibration required to maintain the robust performance of Thermo Scientific Mass Spectrometers. 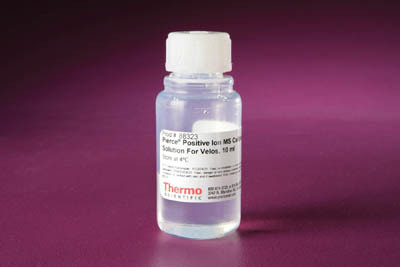 The LTQ Velos ESI Positive Ion Calibration Solution is manufactured at an ISO 9001 facility and each lot is quality controlled with strict specifications. The stable solution is provided in a leak-proof, high-purity PTFE bottle.